After an update of PotPlayer, the older mini skin seems stopped working. Only a windows style border w/ title bar are shown with no control components nor progress bar. But modified mini skin on DA still working. So I wonder what’s the difference. Analysis: PotPlayer skin file has ‘.dsf’ extension. Opening in hex editor, it has file head of “PK”. Obviously it’s ZIP. After extracting, it’s “VideoSkin.xml” that define the skin appearance. 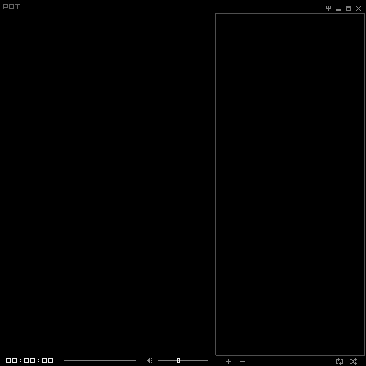 It seems that “VideoSkin.xml” of the original mini skin is some kind of broken or in wrong format which new version of PotPlayer can’t parse. Fix: Correct hard-coded string in “VideoSkin.xml” and save as UTF-8(w/o BOM) and re-package into ZIP file.